a great experience especially the elephant show , bamboo rafting and climb up thw waterfall. We three enjoy this private tour very much. 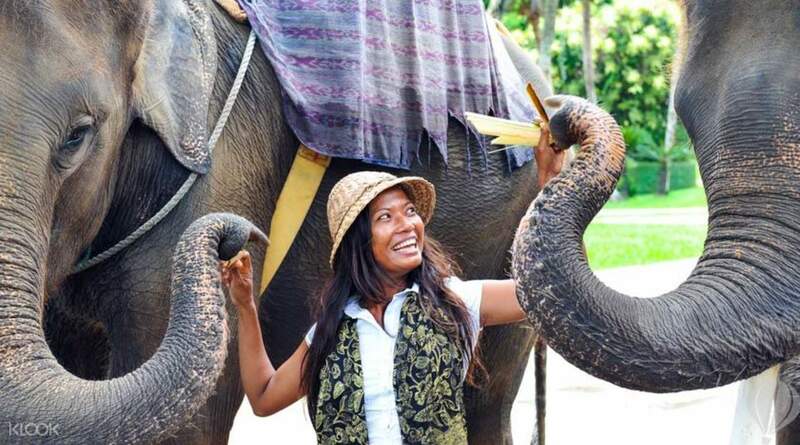 Get close to nature and Thailand's friendly elephants with this trip north to Chiang Dao. The district is known for its Elephant Camp, reportedly one of the best in the city. Spend some time getting acquainted with these lovely, massive creatures' morning routines, before getting on their backs and enjoying an hour and half's ride to Lisu Hill Tribe village. 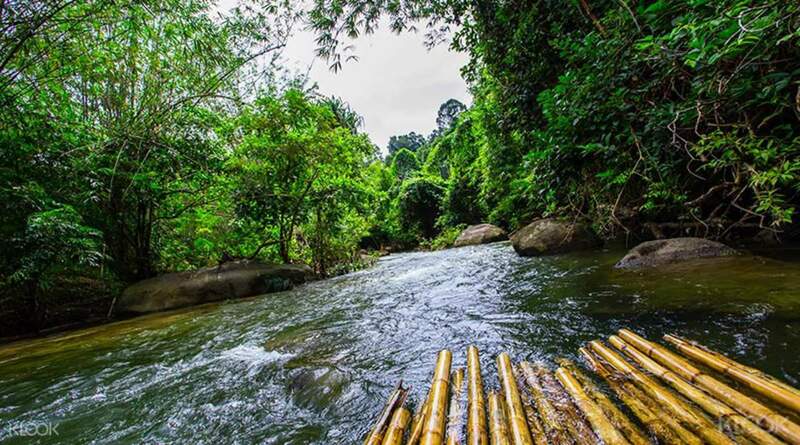 The path takes you along a quiet river embraced by verdant forests, before you settle into a delicious, local lunch, and then embark on a quiet bamboo raft ride. You'll then see the Chiang Dao Caves - a complex of 100 caves, five of which are open to the public. Glimpse the incredible Buddha images in the interiors. You may even opt for the company of a guide and their gas lantern to light the path and your photographs. 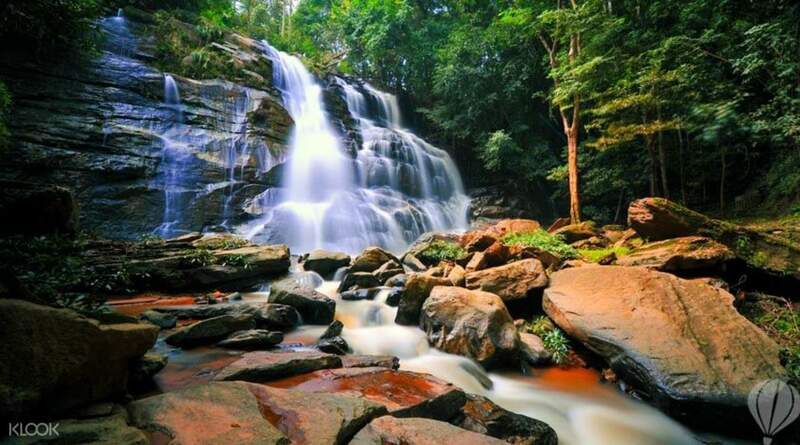 The journey wraps up with a refreshing dip in the Bua Tong Waterfalls, and a cool swim by the pool's limestone rocks. It was a great tour! The tour guide is so knowledgeable about everything and spoke fluent English. Out of all activities, the most amazing thing to see is when the baby elephants painted a vase of red flower and themselves eating leafs on the tree. I wanted to buy their painting but too bad we did not have enough cash! Ready BTH1000 if you’re interested to purchase one. It was a great tour! The tour guide is so knowledgeable about everything and spoke fluent English. Out of all activities, the most amazing thing to see is when the baby elephants painted a vase of red flower and themselves eating leafs on the tree. I wanted to buy their painting but too bad we did not have enough cash! Ready BTH1000 if you’re interested to purchase one. a great experience especially the elephant show , bamboo rafting and climb up thw waterfall. We three enjoy this private tour very much. a great experience especially the elephant show , bamboo rafting and climb up thw waterfall. We three enjoy this private tour very much. It's great to have this tour. We have 2 persons and 1 child so that we have 1 private tour only us so it was flexible time, no rush for the child. The driver (is also tour guide) is so nice. We have experience on elephant riding (30 min), cow craft riding (30 min), elephant show, bamboo craft (45 min) at the elephant park. The lunch at there is also good quality. After that, we move 1 hour for Chiang Dao cave (so quiet) and our last stop at water fall in national park. Enough time for relaxing. It's great to have this tour. We have 2 persons and 1 child so that we have 1 private tour only us so it was flexible time, no rush for the child. The driver (is also tour guide) is so nice. We have experience on elephant riding (30 min), cow craft riding (30 min), elephant show, bamboo craft (45 min) at the elephant park. The lunch at there is also good quality. After that, we move 1 hour for Chiang Dao cave (so quiet) and our last stop at water fall in national park. Enough time for relaxing. It was a good tour with very nice tour guides. Enjoyed the day very much and the waterfall was amazing too. It was a good tour with very nice tour guides. Enjoyed the day very much and the waterfall was amazing too. Best Day Ever!!! I have a teen son with severe autism who loves elephants, and to whom I wanted to give an elephant experience which included an elephant ride. My son also loves boat rides, touring in caves, and swimming, so when I found this tour -- it had the best of everything he enjoys, and I booked! Our tour guide, Mr. Berm (Boom), was fantastic -- one of the nicest and kindest people I have ever met, and he was so terrific with my son. Each one of the activities was so enjoyable and nothing like we've ever done before. My son enjoyed the entire day and I was so happy that I found this tour and got to meet Boom and spend the day learning much about Chiang Mai and Dao from him. Thank you again for what was the best day ever for my son! Best Day Ever!!! I have a teen son with severe autism who loves elephants, and to whom I wanted to give an elephant experience which included an elephant ride. My son also loves boat rides, touring in caves, and swimming, so when I found this tour -- it had the best of everything he enjoys, and I booked! Our tour guide, Mr. Berm (Boom), was fantastic -- one of the nicest and kindest people I have ever met, and he was so terrific with my son. Each one of the activities was so enjoyable and nothing like we've ever done before. My son enjoyed the entire day and I was so happy that I found this tour and got to meet Boom and spend the day learning much about Chiang Mai and Dao from him. Thank you again for what was the best day ever for my son! The trip was amazing. Service from klook and local agency are good. Mr. Yu Zhongcheng is really a nice guide. The route is reasonable and had fun with all the activities, especially the waterfall. Lunch was good also. The trip was amazing. Service from klook and local agency are good. Mr. Yu Zhongcheng is really a nice guide. The route is reasonable and had fun with all the activities, especially the waterfall. Lunch was good also. The elephants are taken care of with love and affection by the trainers. We were able to see them being fed and there was a show where they demonstrated the skills of the animal. 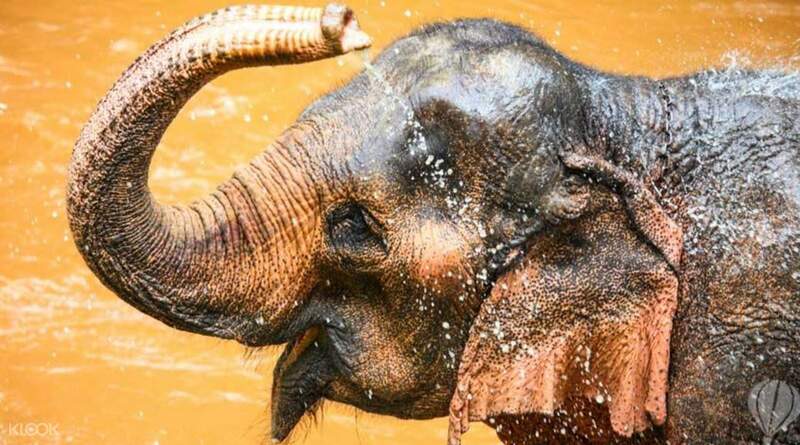 The hour-long elephant ride made the travel north from Chiang Mai worth it. The elephants are taken care of with love and affection by the trainers. We were able to see them being fed and there was a show where they demonstrated the skills of the animal. 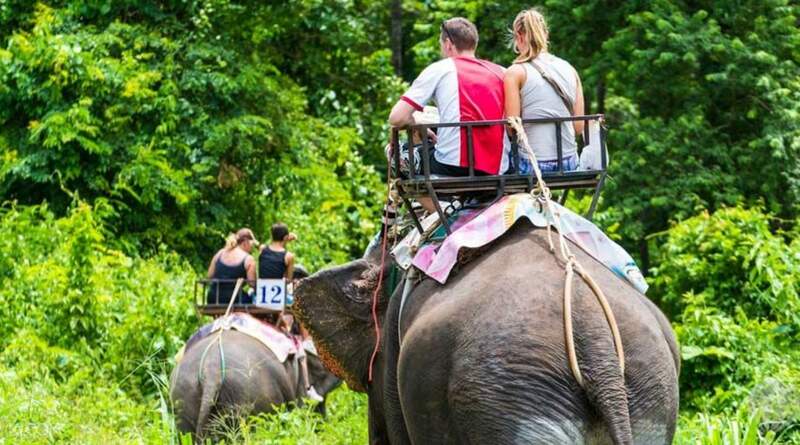 The hour-long elephant ride made the travel north from Chiang Mai worth it. The elephant ride and elephant show are fantastic. Chiang Dao Cave and waterfall are beautiful！The tour guide is friendly. He even added a visit at Long Neck Village though we needed to pay extra admission fee. It was pity that we did not swim at the waterfall even we brought along our swimming suits and goggles as the guide told us that water was very shallow. The elephant ride and elephant show are fantastic. Chiang Dao Cave and waterfall are beautiful！The tour guide is friendly. He even added a visit at Long Neck Village though we needed to pay extra admission fee. It was pity that we did not swim at the waterfall even we brought along our swimming suits and goggles as the guide told us that water was very shallow.